This March, we welcome you and your family to meet two Vermont authors who will delight bookworms and nature lovers of all ages. 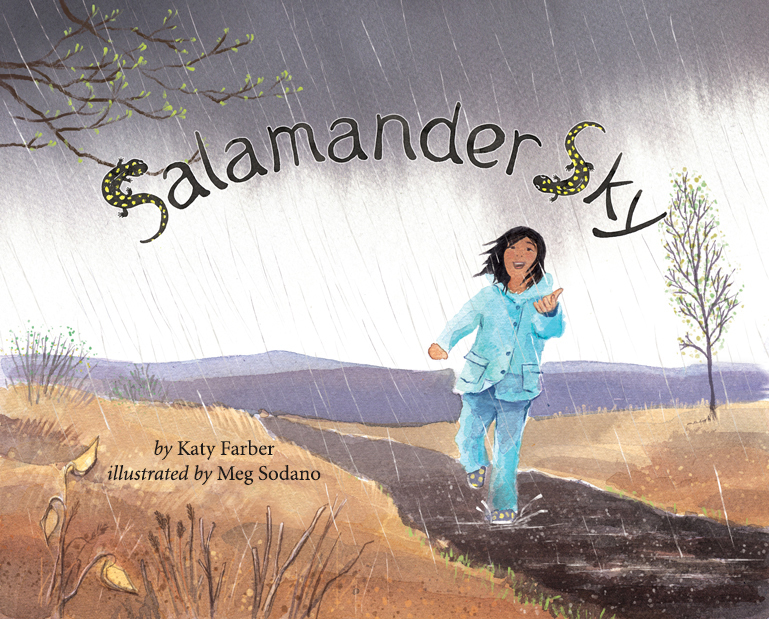 On Saturday, March 3rd, children’s author Katy Farber will read her new book, Salamander Sky, an illustrated adventure of one girl who wants to help spotted salamanders. And on Thursday, March 8th, author Judith D. Schwartz will lead a lively program on the global water cycle and climate change, including examples from around the world of water innovators whose understanding of the water cycle has helped address environmental challenges. Every spring, thousands of animal lovers across New England wait for the warmer, rainy nights which herald the miraculous migration of the spotted salamander. Children’s author Katy Farber takes us into the world of the salamanders in her new book, Salamander Sky. This dramatic, full-color adventure features a mother and daughter who go out on a rainy night to help the salamanders safely cross the road to a nearby pond. Salamander Sky introduces readers to the elusive spotted salamander and the perilous nighttime journey they take each spring. Guest to this special reading will be invited to meet the author, ask questions about the writing process, and learn more about this incredible natural phenomenon which happens every spring and how we can help the salamanders that live in our forests. This lively event is appropriate for all ages and includes light refreshments. How does water move across our landscape and through our atmosphere? What is the “water cycle,” and how can we attune to it? Judith D. Schwartz, well-known author of Cows Save the Planet and Water in Plain Sight: Hope for a Thirsty World, will present a refreshing perspective on water in a unique presentation on Thursday, March 8, at 7 PM at the Newsbank Conference Center in Chester, VT.
By allying with the water cycle, we can revive lush, productive landscapes. Like the river in rural Zimbabwe that, thanks to restorative grazing, now flows miles further than in living memory. Or the food forest of oranges, pomegranates, and native fruit-bearing plants in Tucson, grown through harvesting urban wastewater. Or the mini-oasis in West Texas nourished by dew. Animated by stories from around the globe, Judith’s presentation is an inspiring reminder that fixing the future of our drying planet involves understanding what makes natural systems thrive. This event will include a presentation by the author, a group discussion, light refreshments, and book signings at the end of the evening. This event, hosted at the NewsBank Conference Center at 352 Main Street in Chester, is recommended for adults and older children. Tickets are a $7 suggested donation before March 1st and a $10 suggested donation after. Refreshments from the Grafton Village Bakery will be served.